RX MARINE INTERNATIONAL are continiously working in water treatement sector, And developed many unique product to avoid corrosion and scale depositon in cooling water system. Here I wants to keep our experiment results with you.Corrosion inhibitor for closed cooling systems containing molybdate/phosphonate ( RXSOL-40-4018-025 ). Sodium molybdate has the advantage in that the dosing of lower ppm's of molybdate allow for lower conductivity of the circulating water. Sodium molybdate at levels of 50-100 ppm offer the same levels of corrosion inhibition that sodium nitrite at levels of 800+ ppm. By utilizing lower concentrations of sodium molybdate, conductivity is kept at a minimum and thus galvanic corrosion potentials are decreased. If the TDS and Nitrite drop you have a leak/ unknown makeup. if the TDS stays stable and the nitrite drops you have a biological problem. Bacteria that convert nitrite to nitrate. The closed cooling system uses the water flowing through a heat exchanger to remove heat from the engines. 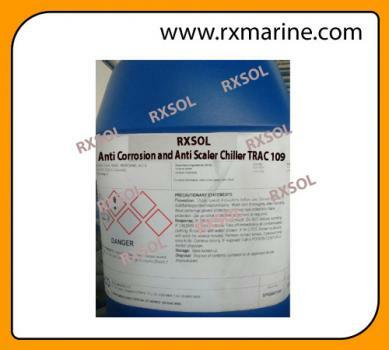 If Continuous flow of cooling water contains Rocor Nb corrosion inhibitor and antifreeze mixture resulting good protect towards metal surface. 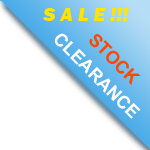 rocor nb liquid msds and technical bulletine available here. SCALE CONTROL in closed water cooling systems - Diesel and gas engines releasing high temperature due to that water present in jacket cooling system increases its tendency to deposit scale. To avoid scale formation water softener like Zeolite gradual buildup of scale in cylinders and cylinder heads. Where condensate is available, it is preferred for closed system cooling water makeup. Where condensate is not available, zeolite softening should be applied to the makeup water. CORROSION CONTROL An increase in water temperature causes an increase in corrosion. At high temperature solubility of oxygen in water decreases due to that Corrosion rates increasing inside the system. This occurs because the lower solubility of oxygen with increasing temperatures in a freely vented system decreases the corrosion rate faster than the rise in temperature increases it. However, in many closed systems, the dissolved oxygen entering the system in the makeup water cannot be freely vented, resulting in the release of oxygen at points of high heat transfer, which may cause severe corrosion. Untreated systems can suffer serious corrosion damage from oxygen pitting, galvanic action, and crevice attack. Closed cooling systems that are shut down periodically are subjected to water temperatures that may vary from ambient to 180°F (82°C) or higher. During shutdown, oxygen can enter the water until its saturation limit is reached. When the system is returned to high-temperature operation, oxygen solubility drops and the released oxygen attacks metal surfaces. The three most reliable corrosion inhibitors for closed cooling water systems are chromate, molybdate, and nitrite materials. Generally, the chromate or molybdate types have proven to be superior treatments. What is closed cooling system ? The full closed cooling system is designed to circulate cooling water through the block and exhaust manifold. water is circulated through water pump to heat exchanger tank and be pumped through many small tubes where it will exchange heat from the water of the circulating system. Then water exits the heat exchanger to go directly into the risers and then exit the boat. The exhaust manifold and riser will be blocked off, so no water will transfer between them. As for the circulating water in the closed cooling system, cool water will enter the engine through the circulating pump and circulate through the engine. The water will heat up in the engine and the warm water will exit at the water outlet on top of the manifold and head to the manifolds. After circulating through the manifolds, the hot water will head to the heat exchanger to exchange the heat it's carrying with the raw water. After the exchange the cool circulating water exits the heat exchanger and returns to circulating pump to begin another loop. There are currently 1 user and 354 guests online.